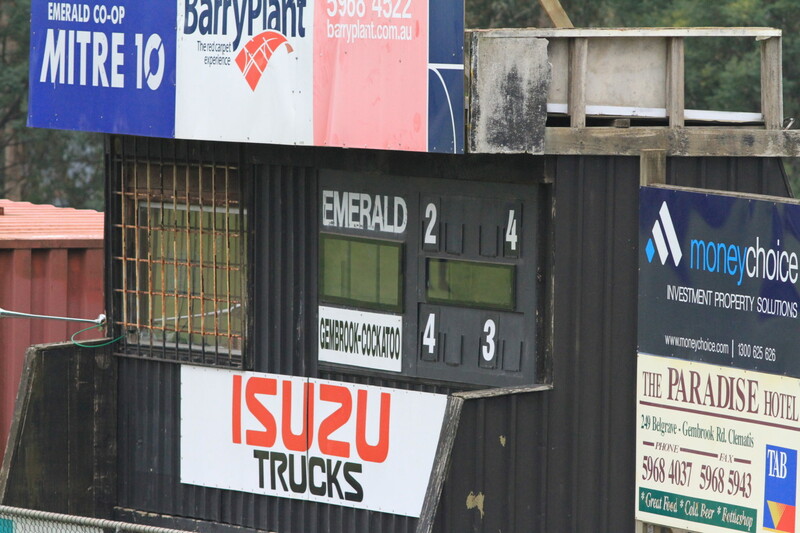 Ten months ago, the scoreboard at Emerald’s Chandler Reserve was happily going about its business. 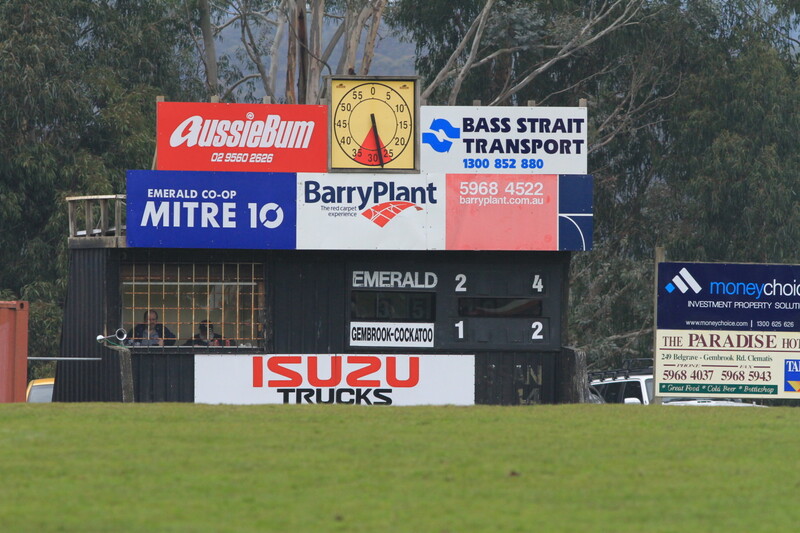 As shown below, Emerald led Gembrook by eight points at quarter time of a mid-winter YVMDFL game. 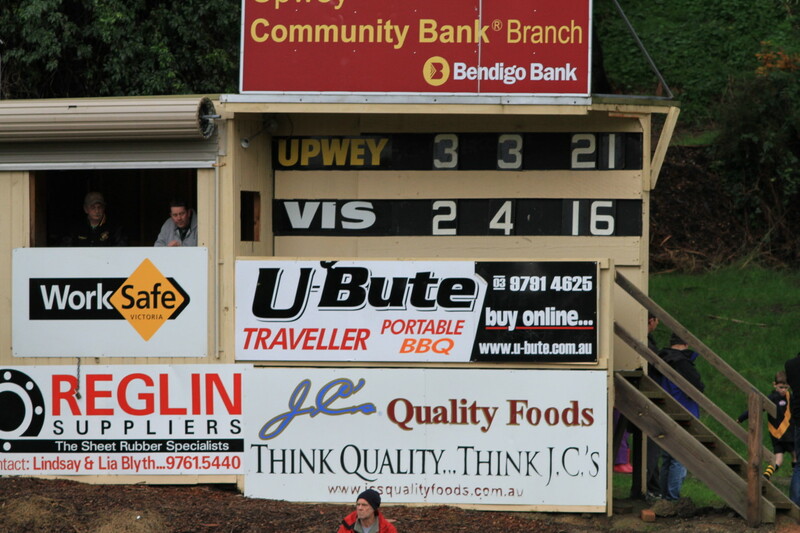 Now the scoreboard has been consigned to history. 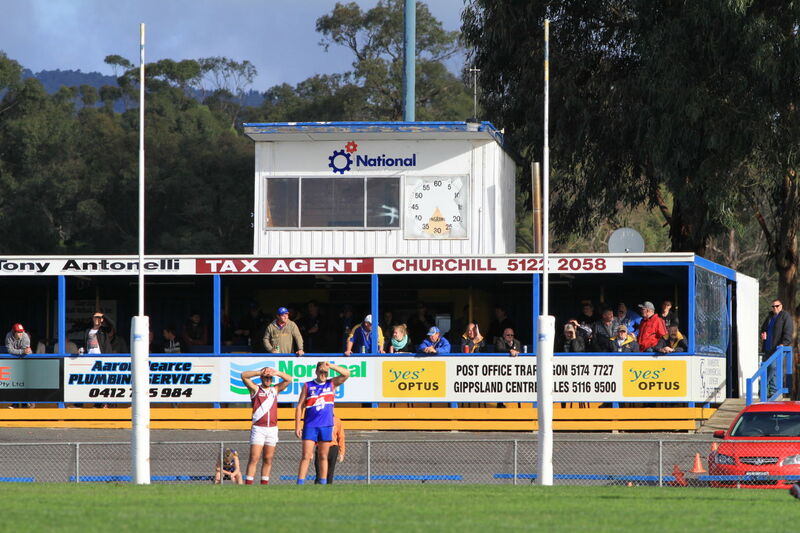 The Bombers are playing their home games at Mountain Reserve, Cockatoo this season while the dodgy surface of Chandler Reserve is done up. I visited the ground last week to check on the progress of the resurfacing, and found that the scoreboard has vanished. It will be interesting to see what they replace it with. Some kind of electronic board, I suppose. That will be fine, but the new board could never match the personality of its predecessor. The Chandler Reserve pavilion at Emerald. 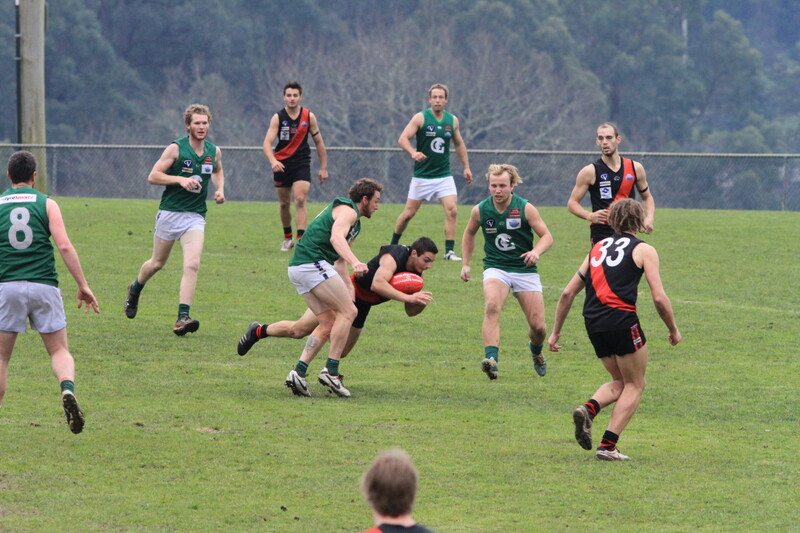 Emerald and Gembrook-Cockatoo battle it out in 2013. You won’t see any more of this scoreboard. 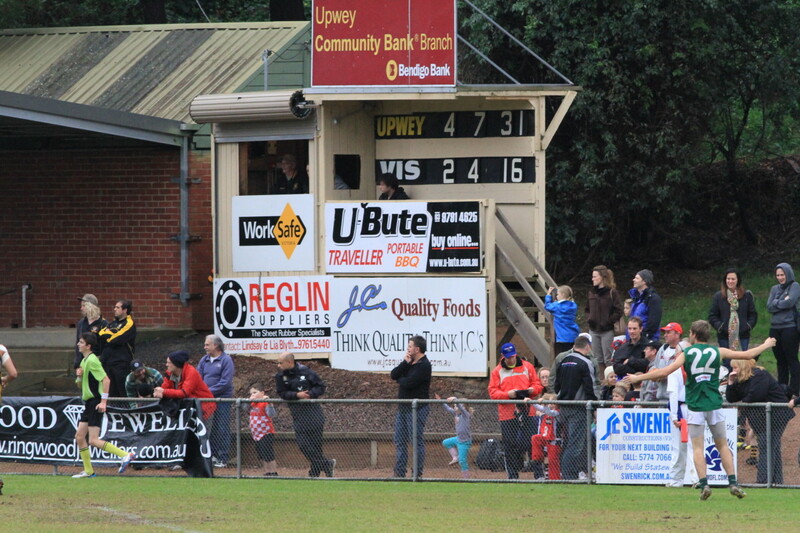 Here is the impressive scoreboard at Churchill, in central Gippsland. 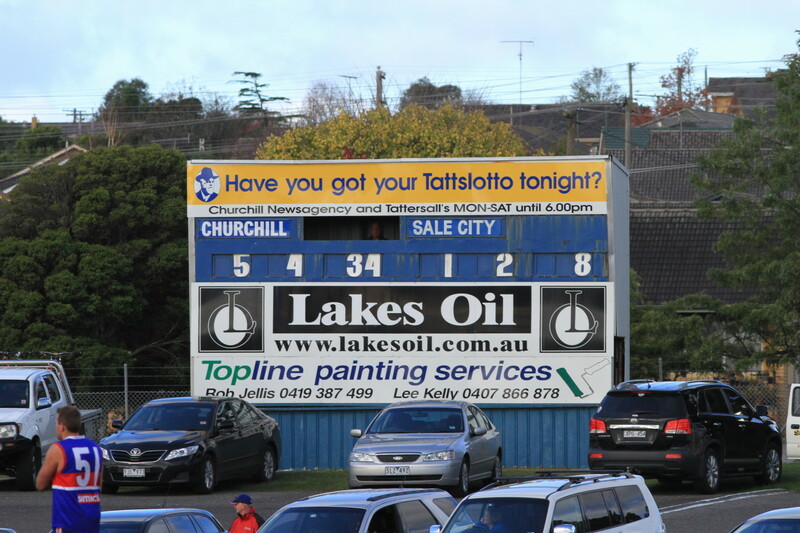 The home side was on its way to a surprisingly big 131 point win over Sale City in June 2013. In Australian football, you can usually bank on the home side wearing coloured shorts and the away side wearing white shorts. On this occasion though, Churchill (usually blue and gold) sported a maroon jumper with a white sash (complete with fake lace-ups at the front) and white shorts. I got the impression that this was a former jumper design being revisited for a special occasion. 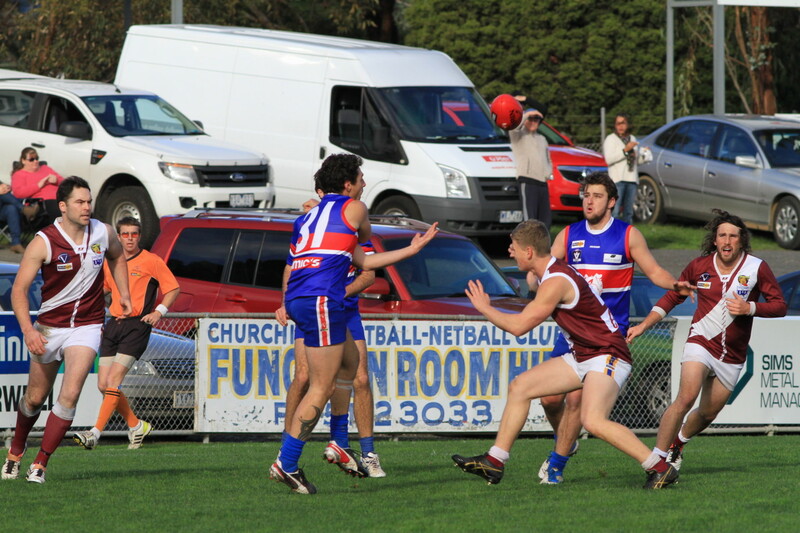 Anyway, it is the away side, Sale City in the Footscray-style jumpers. This is another Mountain District scoreboard with plenty of personality. 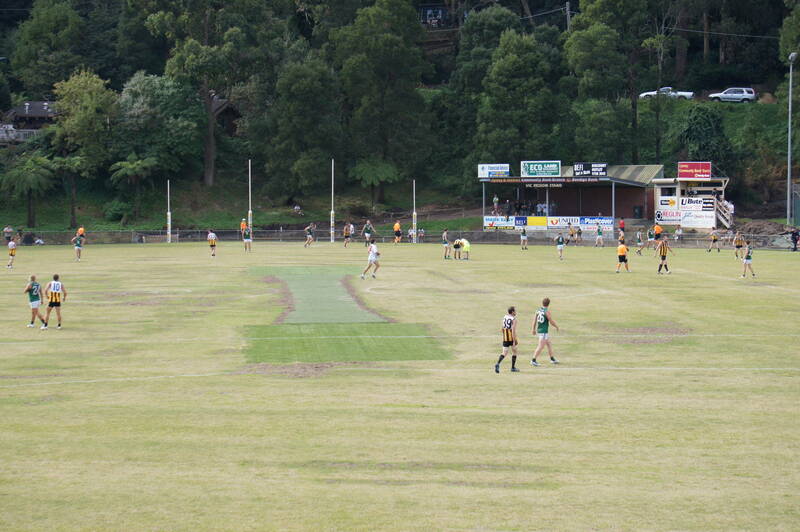 The Upwey-Tecoma Football Club has a great tradition of on-field success in the YVMDFL. 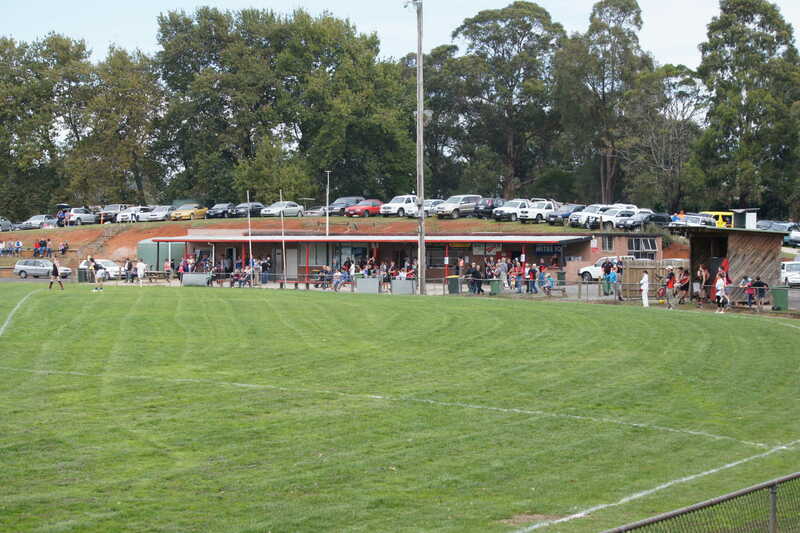 The Upwey ground is sometimes called the ‘Dome’, as it is situated in a natural basin. This allows spectators to obtain elevated views of the play at both ends of the ground.